At least a rough outline of this assignment is now complete. I may fill in a few more details of this assignment later. If you have not done so already, create a DropBox account. Using the tools in StackEdit, save the document you created in the StackGoogle assignment to DropBox. 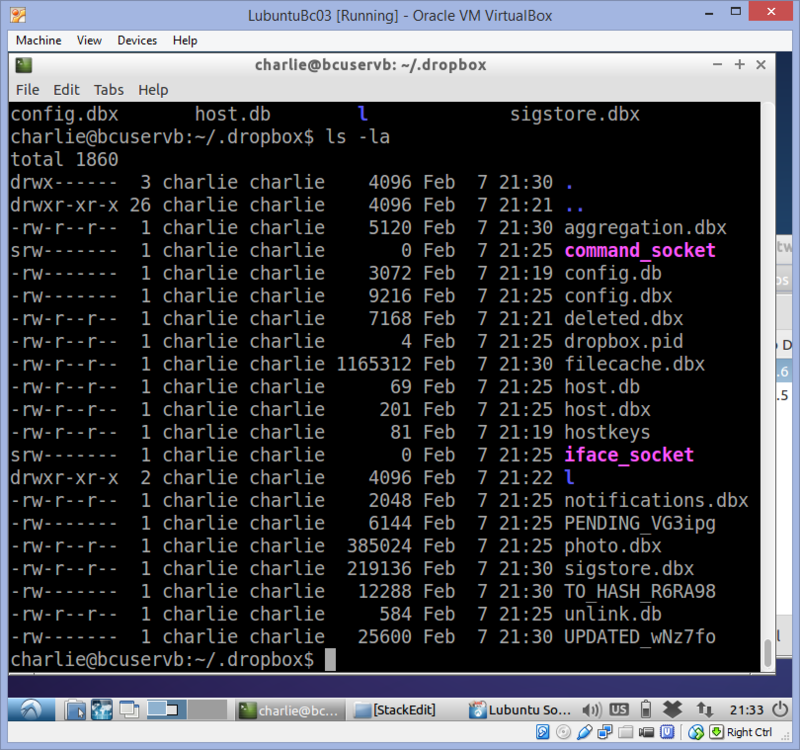 After installing Dropbox, prepare a screenshot like the one shown below. Make sure this icon is visible in your screenshot. 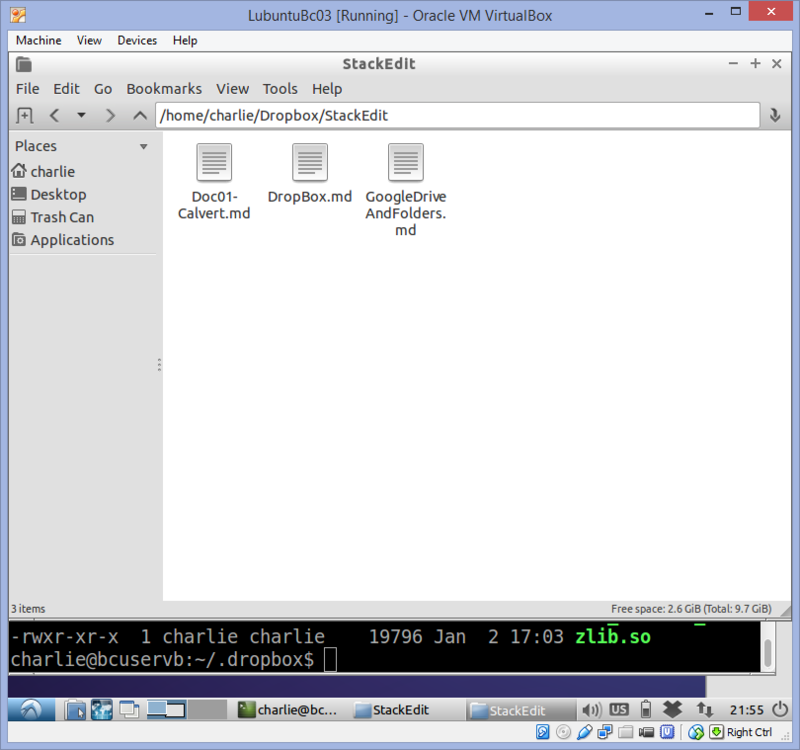 In your Dropbox folder on Linux, create a sub-folder called StackEdit. This is where you will place documents that you create in StackEdit. In StackEdit, choose the pound sign icon on the far left. In the Synchronize section, choose Synchronize | Dropbox | Export to Dropbox. A dialog like the one shown below appears. 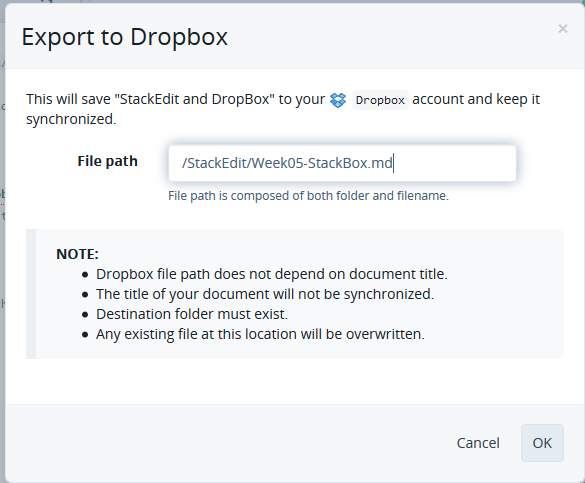 Choose to save you file in your StackEdit folder as Week05-StackBox-LastName.md, where LastName is your last name. Use a graphical file browser such PCManFM to view your StackEdit folder. In Lubuntu, you can access this tool from Start | Accessories | File Manager PCManFM. Take a screenshot of your StackEdit folder. It should look a bit like the one shown below. Submit the various screensheets you created following the instructions outlined above.